I have spent the last 24 hours at a conference in Birmingham. I found this a highly stimulating event. Once again, Etienne Wenger was the keynote speaker, but this time he was speaking specifically about the meaning of learning, to an audience of mostly Higher Education academics. I find Etienne inspiring to listen to. There are many things I could have picked to quote from his keynote today – but this is one that struck me as relevant to the process of reflective learning and in particular to my learning. I can absolutely relate to this and how this relates to the transformative aspect of deep learning and knowledge being troublesome. According to Etienne, we need to be able to cross a boundary and know how to engage enough on the other side of a boundary. Does this stir you as much as it stirs me? A couple of key points/questions came out of this interview for me. According to DC, although we can still have experts, people these days just can’t individually have the spread of knowledge that is needed, hence the need to be able access networks, scan the internet, read a lot, filter and assimiliate. Whilst listening to him talking I found myself thinking about the age old tension between depth and breadth in learning. There’s no doubt that increased connectivity will enable increased breadth, but it seems to me that what experts have is also depth. A network seems to me a very flat structure. How is depth built into a network? Later on in the interview Dave Cormier describes his taught course with no curriculum – again qualifying this by saying that his own curriculum/subject area lends itself to this sort of approach. What really interested me at this point was that he talked about community as a curriculum model. As yet, I have not been able to see, feel or identify with a community on this course. I can see the network very clearly, but I don’t feel a sense of community. I suspect that Dave Cormier’s course was successful not because he exploited possibilities of networks and connectivity, but because he established a community. 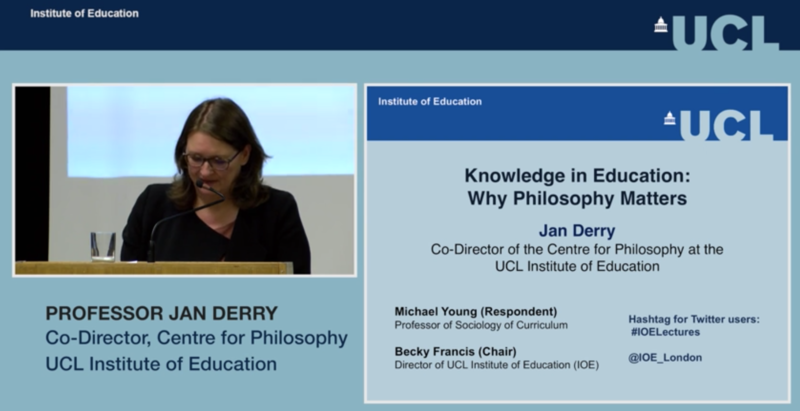 What is knowledge and do we care? Dave Cormier asked this question in the Ustream session on Friday. It was rather glossed over, but at the time I thought -‘Good for him’. GS felt we should care because ‘so much in life has an epistemological foundation’. I thought it interesting that at this point someone felt the need to define epistomology for us all in the chat room ( as epistemology = theory of knowledge). I haven’t yet looked this up to see whether it’s correct!! SD has also expressed surprise in a Daily (today? ), that educators appear not to be that interested in the question of what is knowledge and are more interested in the process. Is this something to do with workload and overstretched teachers? I think I am interested in both, although since even GS and SD couldn’t agree on what is knowledge, I don’t think I am any the wiser. According to GS all knowledge is connectivist in nature. Presumably that means that there is no knowlege that is not connected. Knowledge can’t stand alone. According to SD all knowlege is associationist rather than connectivist, but he didn’t explain what he means by associationist. Does he mean that knowledge is connected through the senses (qualities) through quantities and by being connective? I suspect that this sentence shows how completely confused I am and I do wonder whether it is worth caring about! I need a picture in my head about what associationist means and currently I don’t have one. 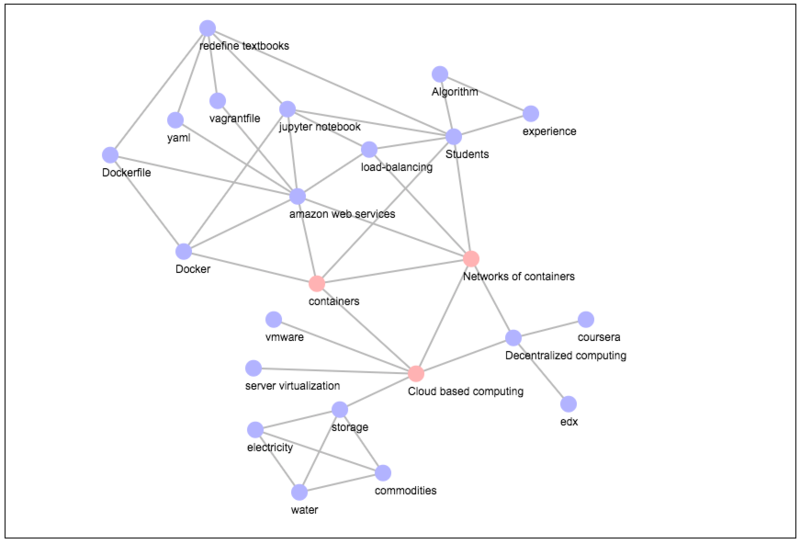 Another thing that I have picked up over the week, is that knowledge is distributed across networks. That much makes sense. But the business of knowledge being externalised is still unclear to me. Does this mean that knowledge is something different to and separate from my own personal ‘knowing’? I have to admit to being completely lost here. I’ll have to return to the forums – but the number of posts is ‘blinding’! Aaaaargh”!!! Like others I did not gel with the coal analogy. I’m not sure what SD was getting at with this. I think the error was in choosing an inanimate object to reflect a living network. but some people will have more expertise in a given area than others and we will need to be able to navigate networks to find these people. How will we judge who is worth ‘listening to’ and who is not? and it still leaves the question of the value of ‘knowing’ as a personal quality/attribute. What will be the role of teachers in this distributed knowledge network? What will happen to leaders, to experts, to geniuses? Will they naturally rise to the surface like bubbles of oxygen in a bog? I have to admit to not having read these yet. Perhaps it will all become clearer when I have!